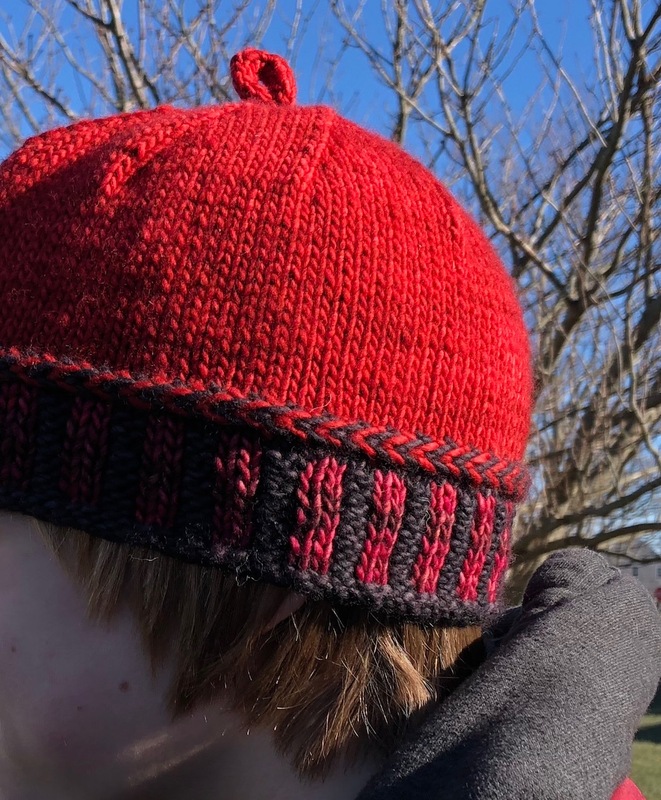 This toque pattern is knit with any worsted yarn on a US8 (5mm) circular needle. 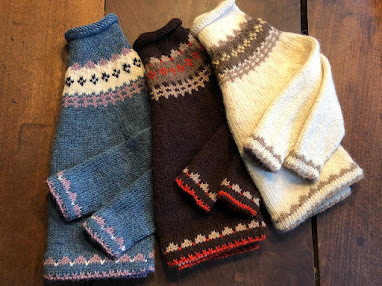 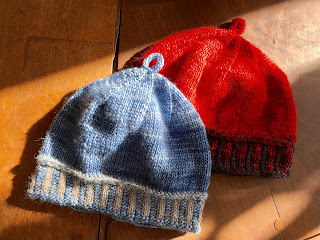 I used about 120 yards of the main color and about 30-40 yards of the contrasting color yarn... both treasures from my knitting stash. 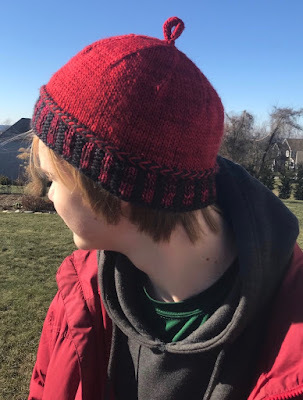 Etienne's Hat is a quick knit beanie, a four-page pdf with pictorial instruction as well, unisex for men and women in two sizes, medium and large. 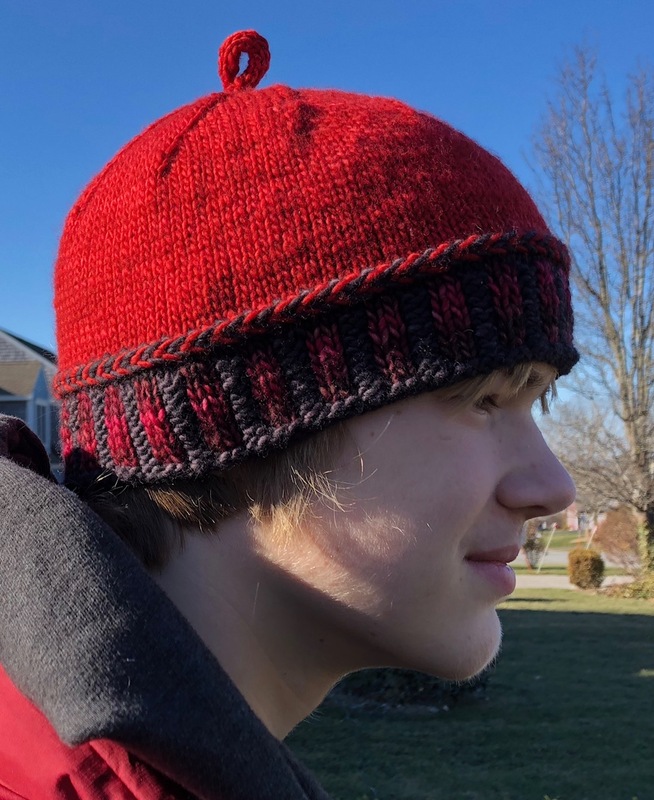 Teens will love this fun hat. 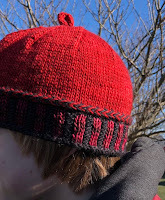 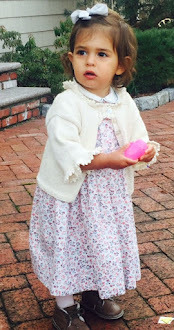 The Etienne Hat pattern is available for purchase on Ravelry for $3.00 and at Loveknitting.